6.2inch, 24bit true colour clear type resistive multi-touchscreen, featuring new improved, easy to use graphic user interface, designed around safe and sound operation whilst driving. Pioneer’s AVIC-Z710DAB can also mirror your smartphone, features AppRadio mode +, as well as dual USB inputs. Bluetooth maximise connectivity for hands-free calling and easy wireless audio streaming. 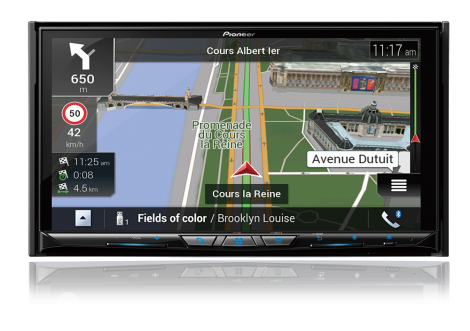 The unit includes detailed built-in European HERE navigation maps. Forget messy cables hanging across your dashboard, and enjoy Apple Carplay wirelessly, the Pioneer way. Android users can enjoy Android Auto and Waze. DAB+ Digital radio, Spotify and wireless Bluetooth can also be enjoyed from modern smartphones.